Kiyoshi and Gackt discover that the hole they dug to escape has been filled in, forcing them to improvise if they are to escape from prison. The fate of Kiyoshi’s date with Chiyo and Gackt’s Romance of the Three Kingdoms figures depends on it. Having spent over a month in prison at the mercy of the shadow student council, Kiyoshi’s one salvation is his date to go watch sumo with Chiyo. After the hole he and Gackt dug was filled in, they have to frantically get a plan together to plot their escape. Deciding to somehow steal a girl’s uniform to walk out of the school, they’ll have to contend with the growing suspicions of the vice-president as well as their friend Shingo. The stakes are high, but nothing can deter a hormonal teenage boy from his dream date. Being one of five guys in a school with over 1000 girls can only lead to good things.... right? Prison School Vol. 2 doth continues where Vol. 1 ends off, with Geckt and Kiyoshi feverishly trying to escape from prison. This sets off a cavalcade of unfortunate events that continue to create a deliciously absurd story, and the story moves forward at a good clip as the boys plan their escape. Once again, the proceedings would sound completely silly if I wrote them out without context, but the way the series continues to tell its ridiculous story with deadly seriousness is captivating in how bizarre it all is. I’m not the type of person who would usually find characters stealing a skirt particularly funny, but I found myself laughing throughout the volume and wondering how the story would top itself next. I loved how well incorporated the humour was into the story, and it never feels like Prison School is trying to make you laugh because of how readily it embraces what it is. The story itself is satisfying and paced well, as Kiyoshi finally gets to go on his date with Chiyo. Of course, nothing ever goes the way it was planned but the ride is always enjoyable, with a few interesting plot revelations tossed in that will have big implications for future volumes. The cast of characters continues to be satisfying and each are intensely memorable. Gackt continues to be one of the unceasingly funny characters in the series, stealing the show as his serious loyalty mixing with his slightly unhinged priorities to create one of the more uniquely hilarious characters in the series. We also see some signs of character development from the rest of the cast including Shingo and Joe, which is beginning to round out the story nicely and I’m eager to see where this will go and how these dynamics will play out. One of the first volume’s best aspects was the way it used its fanservice, creating a unique aesthetic by portraying it with the same utter gravity and seriousness that permeates the rest of the story. One of the biggest steps down in this volume was the fanservice wasn’t used nearly as cleverly here. While it was still played up to the extreme, it felt just a little less clever, and a little more pandery than the first volume. I’ll admit that I’m not the biggest fan of fanservice, but I still love the way Prison School is able to use it to create such a unique aesthetic when it is taken alongside the rest of the story. While this volume didn’t do as good a job in this regard as the previous one, I still though it was relatively well done and it didn’t stop me from enjoying the story. The artwork itself continues to be fantastic though, with the hyper-realistic style doing wonders to add to the gravity of the story with absurd effect. One of the standout parts of the art was the way author Akira Hiramoto used shadows to maximize the dramatic effect of scenes, portraying the faces of the characters with varying degrees of shadow to create a more cinematic look. This also emphasizes a sense of horror at the proceedings, with the character’s expressions warping into startlingly distorted and exaggerate expression at the most opportune times, with excellent effect. The bottom line is that Prison School’s art feels completely cohesive thematically with what Hiramoto sets out the achieve, adding a great deal to the proceedings. While perhaps not as strong as the first volume, I still had a great time with Prison School Vol. 2, as the series continues to excel thanks to the sheer absurdity of its premise. While the fanservice was not used to quite as clever a thematic effect as it was in the first, this volume doubled down on the story effectively to make up, continuing to tell a delightful tale that is sure to please anyone who enjoyed the first. If you didn’t like the first volume this one isn’t going to change your mind, but for those looking for a fresh dose of the gratuitous and insane this volume is definitely worth reading. Prison School Vol. 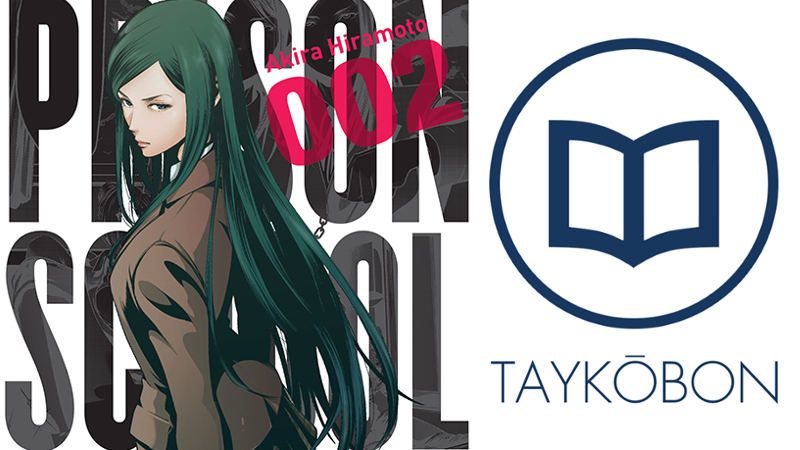 2 was published by Yen Press on November 17th, 2015 and is an omnibus version of volumes 3 and 4 of the Japanese release. Authored by Akira Hiramoto, the series began in 2011 is still ongoing in Kodansha’s Young Magazine. Volume 3 consisting of volumes 5 and 6 of the Japanese release will be published in English on March 22nd 2016. An anime adaption produced by J.C. Staff is ran during the summer season of 2015 for one cour.